To create this look, I inked up the marble with Grout Gray Premium Dye ink while the stamp was positioned in my Misti. I used a blending tool and went over it in Gold Delicata ink to add a little shine. It's hard to see in the photos but its a more gray background with hints of gold. 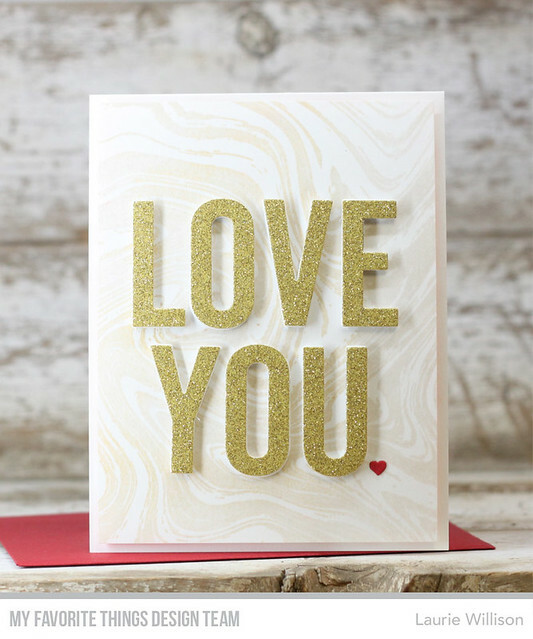 Next, I used MFT's Gold Sparkle cardstock and cut out the Love You dies. I also cut out a layer of fun foam so the sentiment would be popped up from the card front. Last, I added a little heart die for a little pop of red. This marble background is so fun and so easy to stamp. All these new January products will be available on Tuesday, January 9th at 8pm CST. Yay! Thanks so much for stopping in today. Head on over to the MFT Blog to see all the details for this release. Have a great day! 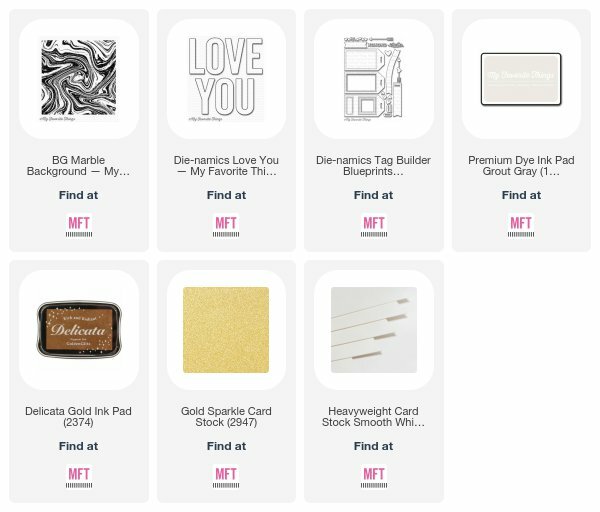 I thought I didn't need any more Valentine goodies, until I saw your card...I love your subtle stamping with the marble background and your sparkly gold alphas are fabulous! Really gorgeous card, Laurie! 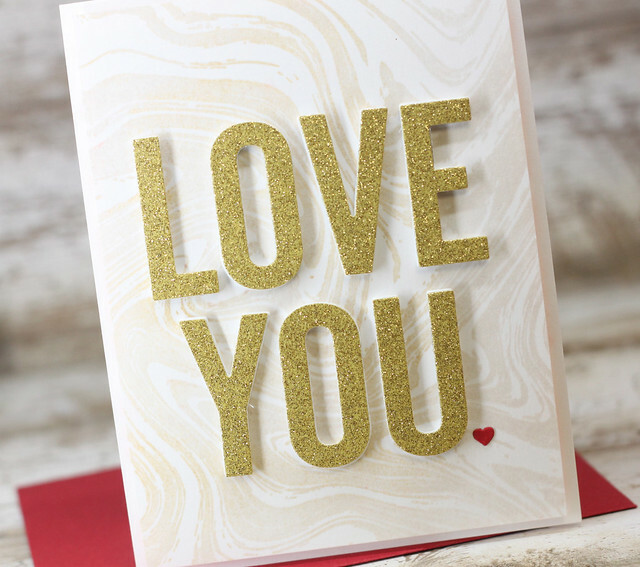 LOVE the glittery gold letters paired with the marble background! WOW!! So gorgeous! LOVE that marble background! WOW!!! The marble background is so awesome.. Such a elegant and pretty card. What a beautiful background image! Your card is marvelous Laurie. Love the tiny red heart! That’s a gorgeous, super efficient card ! The little red heart is awesome! I love the marble stamp. That's been put on my gotta have it list. Your card is beautiful. I love the technique you used with the marble stamp. I love your big bold gold letters! The Gold just adds a classy touch! Fantastic CAS design!Thank you for sharing! Gorgeous, Laurie! Now I know I NEED that marbled stamp.